Two part split cable conduit. Ideal for retro-fit and maintenance. Available in sizes from 10mm up to 32mm. Fit around existing wires and cables without the need to cut or rewire. 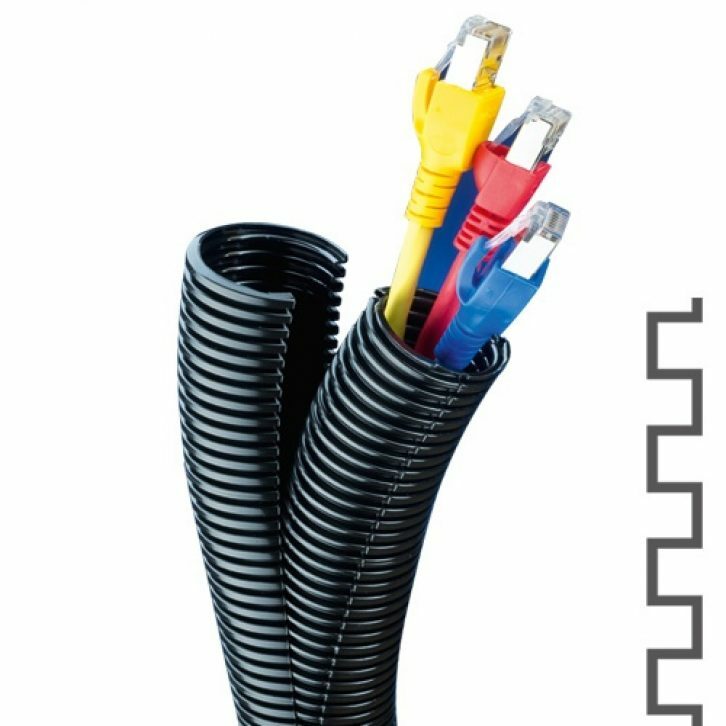 Two piece split conduit, perfect for protecting cables. Can pulled apart and closed up again allowing for the protection of terminated cables. Also allows for the protection of cables in situ without rewiring. Protection of pre-terminated cables. Warranty of cable remains. Retrofitting and maintenance can be carried out easily.